You've been waiting for this day for months. 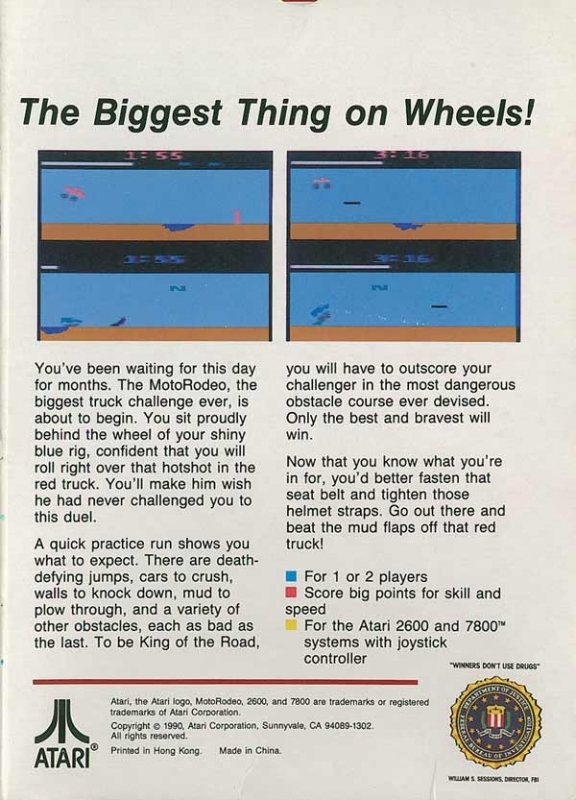 The MotoRodeo, the biggest truck challenge ever, is about to begin. You sit proudly behind the wheel of your shiny blue rig, confident that you will roll right over that hotshot in the red truck. You'll make him wish he had never challenged you to this duel. A quick practice run shows you what to expect. There are death-defying jumps, cars to crush, walls to knock down, mud to plow through, and a variety of other obstacles, each as bad as the last. To be King of the Road, you will have to outscore your challenger in the most dangerous obstacle course ever devised. Only the best and bravest will win.